Dr. Andrew McGarry is a born and bred Oklahoman. He left for a short time to attend Southern Methodist University in Texas where he majored in Finance, but ultimately returned home after four years to attend Dental School at the University of Oklahoma. While at the University of Oklahoma College of Dentistry, he received multiple awards in the areas of Oral Surgery and Implant Dentistry. Upon completion of his doctorate, he moved to Wilmington Delaware to pursue training in Oral and Maxillofacial Surgery at Christiana Care Hospital. His surgical training encompassed the full scope of Oral and Maxillofacial Surgery including dentoalveolar surgery, dental implants and grafting surgery including placement of zygomatic implants, extensive training in facial trauma reconstruction, temporomandibular joint surgery, head/neck pathology, and correction of dentofacial deformities with orthognathic surgery. As the son of a prosthodontist, Dr. McGarry has a special appreciation for the restorative side of dental implants and always treats patients with the end restoration as a guide to achieve an esthetic and functional result. 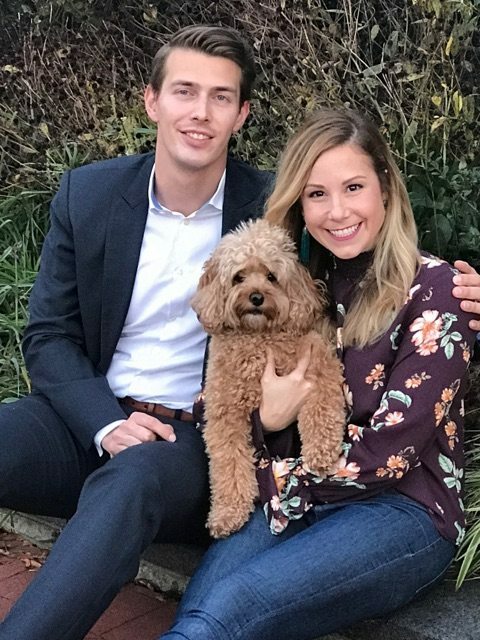 In his free time Dr. McGarry enjoys an active lifestyle, watching OKC basketball, and spending time with his wife Staci, also a native Oklahoman. He and his wife are happy to be moving back to the great state of Oklahoma and serve their community.